Lichens are interesting organisms. They are an important part of nature and are often useful for humans. They currently provide us with dyes and scents for perfumes. Historically, a few species have been used as food after a suitable preparation. 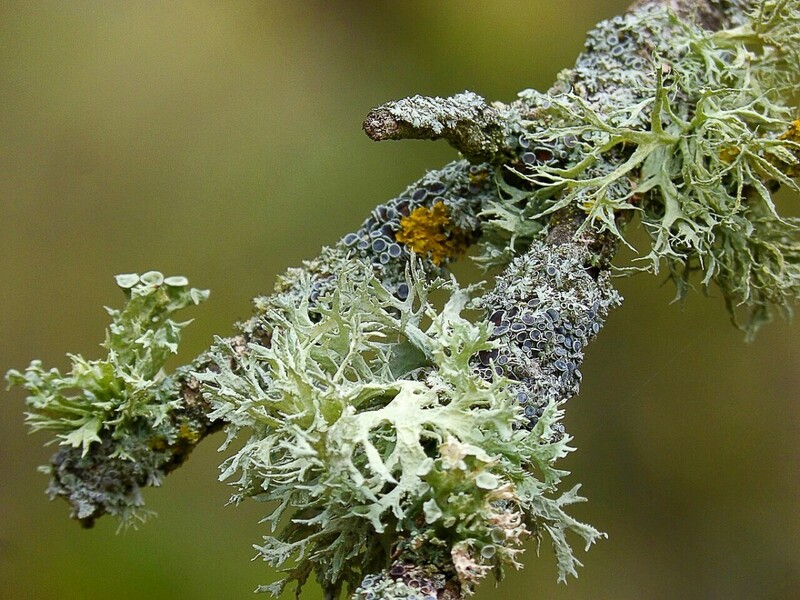 In the future, lichens may provide us with antibiotics and sunscreen chemicals. Some species can withstand high levels of radiation. 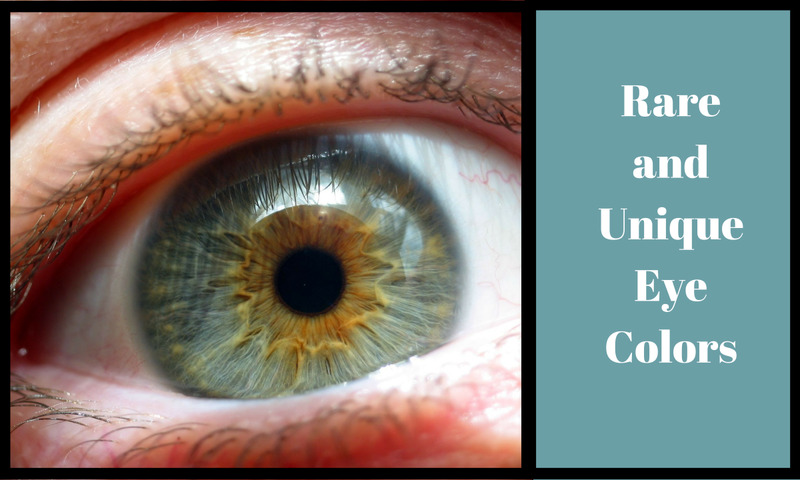 Others can be used as biological sensors that give us information about the environment. Lichens have a wide variety of shapes and body forms. They also have many possible colours, including black, grey, white, green, blue-grey, yellow, orange, red, or brown. Despite their appearance, they aren't plants. Their body contains both a fungus and an alga. Each organism helps the other in some way, creating a beneficial partnership. The word "lichens" is generally pronounced "likens". In some places it's pronounced as it's spelled, however, and rhymes with kitchens. Lichens are beautiful and somewhat mysterious organisms that are classified into three main types, based on the form of their body, or thallus. Foliose types have a leaf-like appearance. Fruticose types have a highly branched form. They may be erect or hanging. Crustose types look like a crust that has formed on a surface. Intermediate and unusual forms of lichens exist. For example, scaly types look like a cross between a crustose form and a foliose form. Jelly lichens live in moist areas and have a gelatinous appearance when wet. Unlike a plant, a lichen doesn't have roots, stems, or leaves. It's attached to its substrate by filaments called rhizines or by a single, central extension of the thallus called a holdfast. Most of the water and nutrients that the thallus needs are absorbed from the surrounding air and raindrops instead of through the rhizines or holdfast. Lichens are scientifically classified according to the fungus that they contain and are placed in the Fungi kingdom. The fungus is often said to be "lichenized" when it's combined with an alga. Lichens perform useful functions in nature. They provide shelter for other organisms. They also provide food for animals and materials that they can use to build their homes or nests. When lichens grow on rocks, the chemicals that they release contribute to the slow process of rock breakdown and soil formation. A lichen is an example of symbiosis—a relationship in which two organisms live in a close association. The alga in the partnership may be a green alga or an organism that used to be called a blue-green alga but is now known as a cyanobacterium. Occasionally both an alga and a cyanobacterium are present. The fungus nearly always belongs to a group known as the ascomycetes. Like most other fungi, the fungal component of a lichen consists of branching, thread-like structures called hyphae. The algal cells are generally located in the middle of the lichen and are surrounded by hyphae. In jelly lichens the fungal hyphae and algal cells are mixed uniformly. The algal cells make food for both themselves and the fungus. They contain chlorophyll, which absorbs sunlight. The alga uses the light energy to make carbohydrate from carbon dioxide and water. Fungi don't contain chlorophyll and can't produce their own food. The fungus in a lichen helps the alga by protecting it. In 2016, scientists made a surprising discovery. They found that many lichens consist of a fungus, an alga or a cyanobacterium, and a yeast belonging to a group known as the basiodiomycetes. The presence of the yeast was unexpected. The researchers think that this organism makes chemicals that protect the lichen from microbes and predators. Many lichens are a grey colour when they're dry. When a lichen is moistened and absorbs water, however, the algal cells give it a deeper hue. 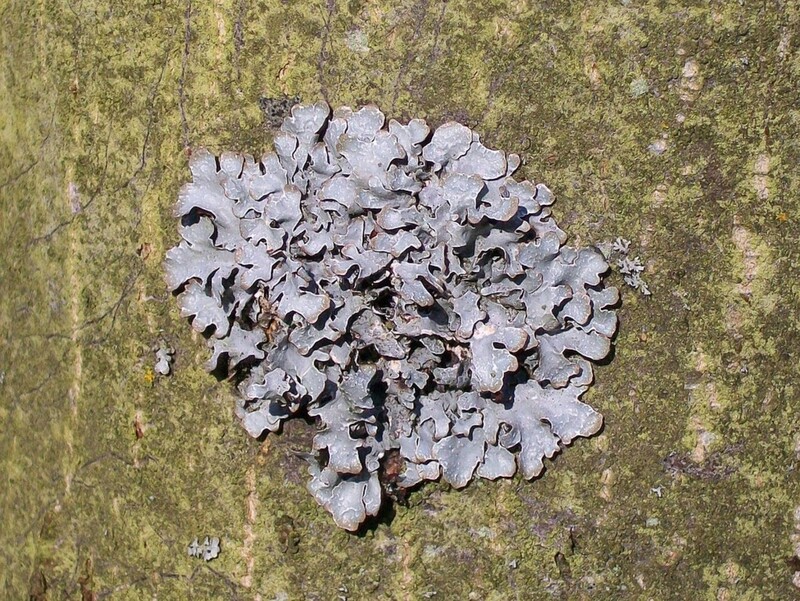 The fungus component is often colourless, but in some cases it contains a pigment that gives the lichen a vivid color. Making wool and fabric dyes from lichens is an ancient process that is still performed today. 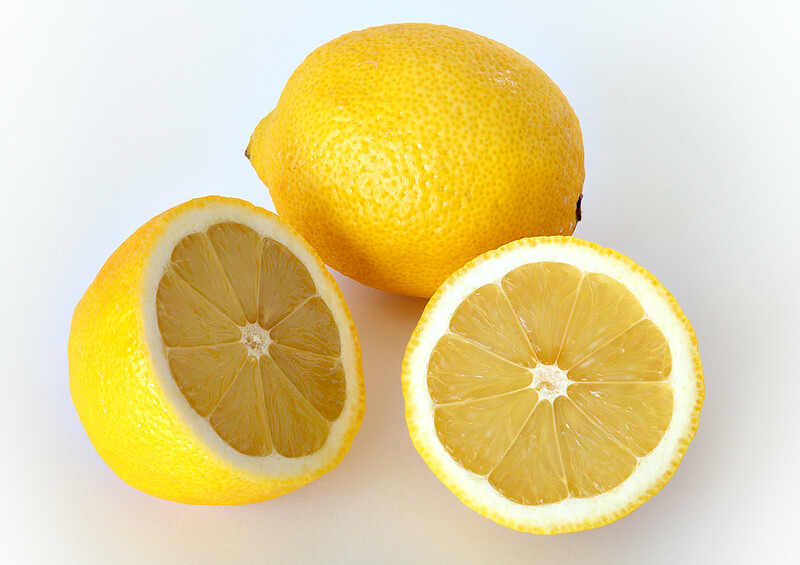 Suitable specimens are collected, cut into pieces, and added to water. Ammonia is often added to the water. At one time urine was commonly used as the water-ammonia solution. The mixture is left for several weeks in order for the dye to appear. 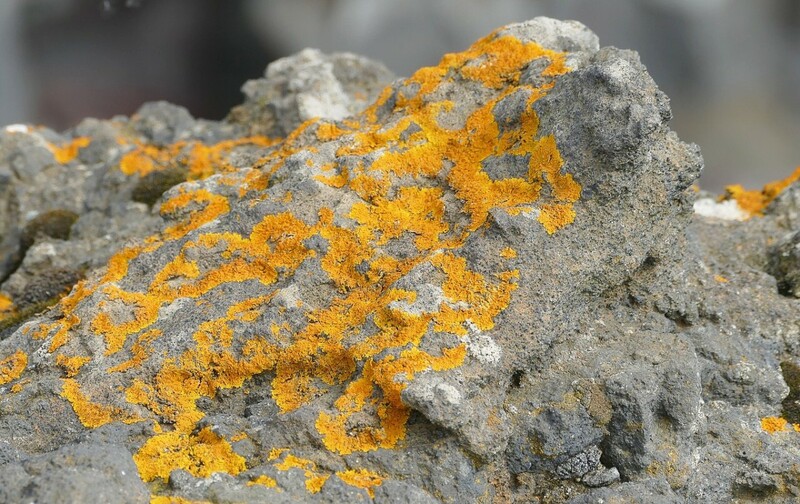 The dye made from a lichen often has a different colour from the intact organism. Brown, gold, orange, green, purple, blue and red colours are all possible, depending on the species of lichen used and the type of extraction process. British soldiers is a fruticose lichen found in Ontario and the northeastern part of the United States. The name is said to be derived from the red uniforms worn by British troops during the American revolution. Litmus paper is very commonly used as an acid-base indicator, especially by students who need to know only the approximate pH of a substance. Litmus is a mixture of dyes extracted from specific lichens, especially Rosella tinctoria. Litmus paper is made from filter paper that has been treated with the dye. Neutral litmus paper is purple in color. It turns red when exposed to an acid and blue when exposed to a base (alkali). 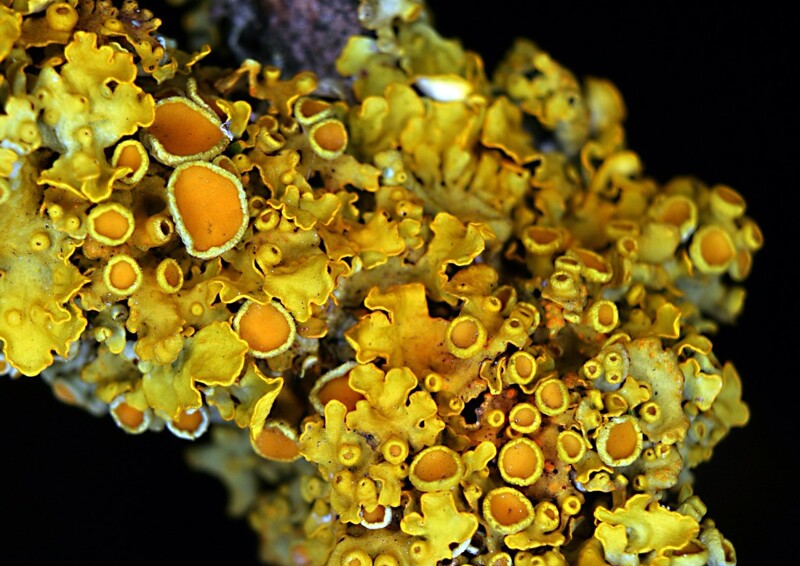 Xanthoria parietina is a foliose lichen which contains a yellow pigment called parietin. This pigment absorbs ultraviolet radiation, acting as a sunscreen to protect the algal cells inside the lichen. Some other lichens contain sunscreens, too. It's been suggested that the protective chemicals could be useful in human sunscreens. 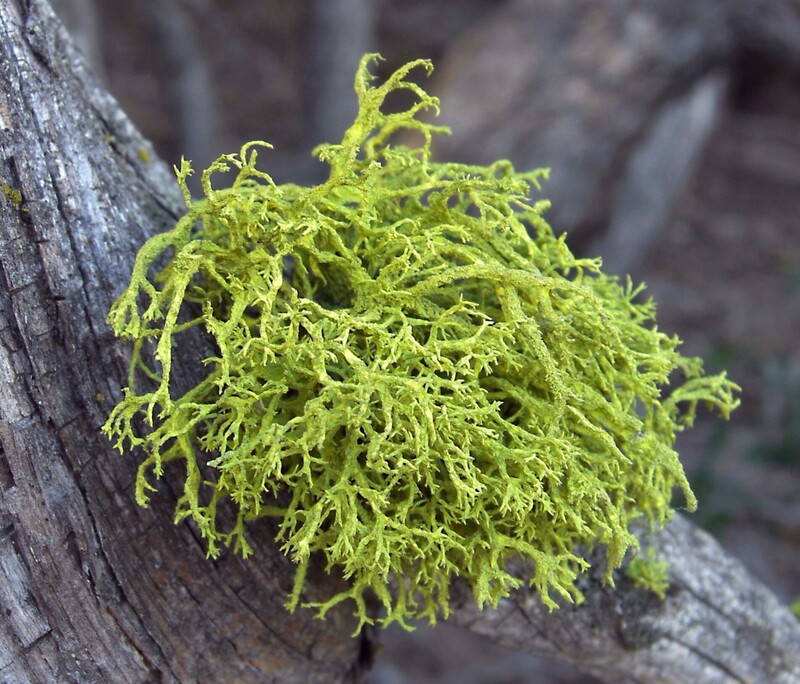 Usnic acid has been found in several lichen species, including members of the Usnea genus. In natural medicine, Usnea is used as an antibiotic and an anti-inflammatory substance. This may not be a safe or an effective practice, however, as explained below. Usnea is also used in some products as a preservative. Tests in laboratory equipment and lab animals show that usnic acid has antimicrobial properties and kills bacteria, fungi, and viruses. It also decreases inflammation and prevents some types of cancer cells from reproducing. Unfortunately, it may cause serious liver damage in humans. Clinical tests of the effectiveness of usnic acid in the human body are lacking. Substances may not have the same effect in our body as they do on isolated cells and inside lab animals. The wolf lichen (Letharia vulpina) has a bright yellow-green colour and grows in Europe and western North America. It contains a yellow chemical called vulpinic acid, which is poisonous to mammals. In the past, wolf lichen mixed with ground glass and meat was used as a poison for wolves. It's unknown if the lichen or the glass was most responsible for the death of the animals. 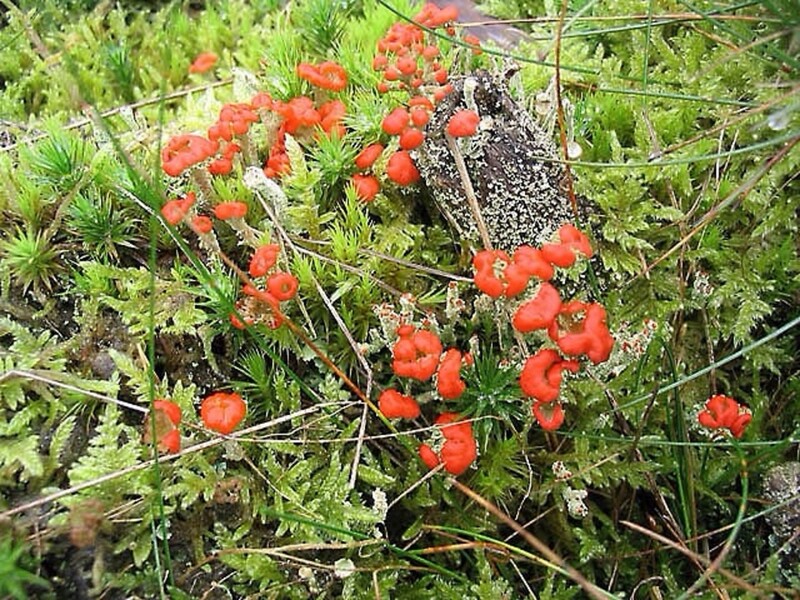 Wolf lichen has also been used for dye extraction and was once used medicinally by native peoples. 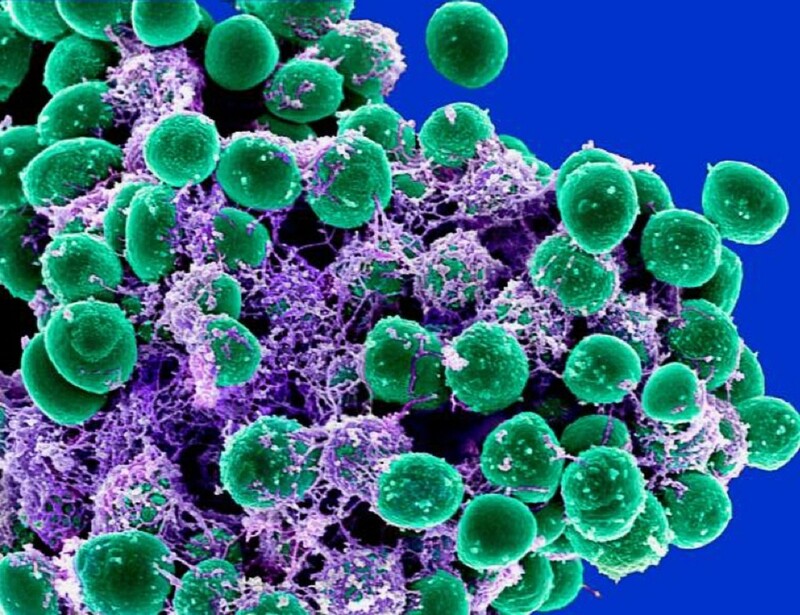 Lab research shows that vulpinic acid can kill certain kinds of bacteria. As in the case of usnic acid, if vulpinic acid is proven to be helpful for humans, we need to find a way to prevent the chemical from hurting us before we can use it as an antibiotic. Oakmoss (Evernia prunastri) is used to provide scents and fixatives for perfumes. 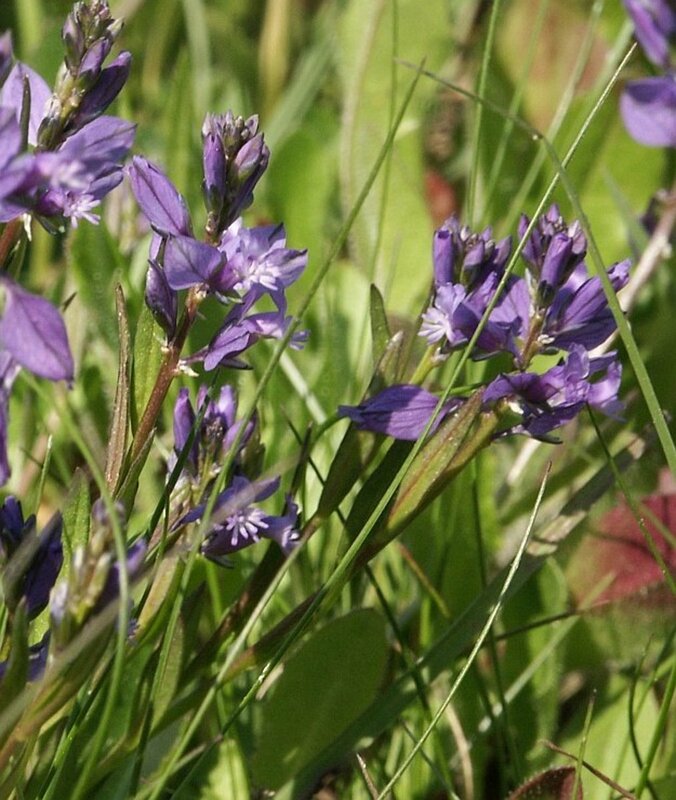 It grows in Europe and North America but is especially valued in France. It lives on oak trees as well as other trees and is a fruticose lichen, not a moss. Both essential oils and absolutes are extracted from the oakmoss. Essential oils are usually obtained by steam distillation. Absolutes are obtained by solvent extraction and are generally more concentrated than essential oils. The extracts of oakmoss are said to have a lovely earthy scent that resembles the aroma of moss and has an undertone of pine. Some oakmoss extracts advertise the fact that they are low in atranol. This chemical is allergenic for some people, so it's worth seeking products that have little or no atranol. Pseudevernia furfuracea is another fruticose lichen used in the perfume industry. The lichen was used to fill the body cavity of Ancient Egyptian mummies. It's not known if the lichen was used as a preservative or to provide a pleasant scent. Today lichen components are used in deodorants as well as perfumes because of their pleasing aroma. We shouldn't pick up a lichen from a rock or tree and eat it. A few species have been eaten by humans, however. 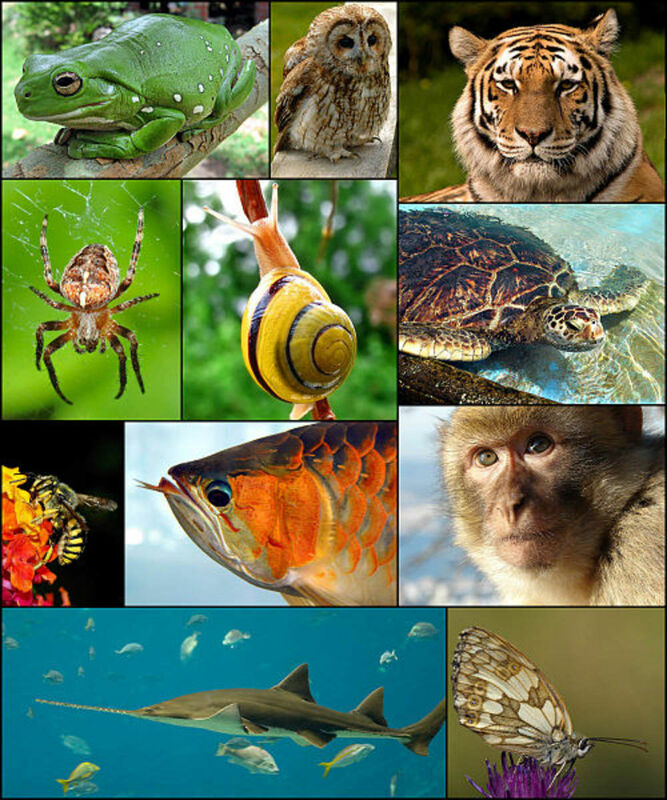 Many species are believed to be mildly toxic, a few are poisonous, and most are indigestible in their raw form. Some cultures have learned how to prepare specific lichens in a way that improves their digestibility and even makes them a delicacy. The people's long experience has taught them which of the local lichens are safe to eat when prepared in the right way. Most of us lack this knowledge. The following uses are historical and may still occur in some indigenous cultures of North America. 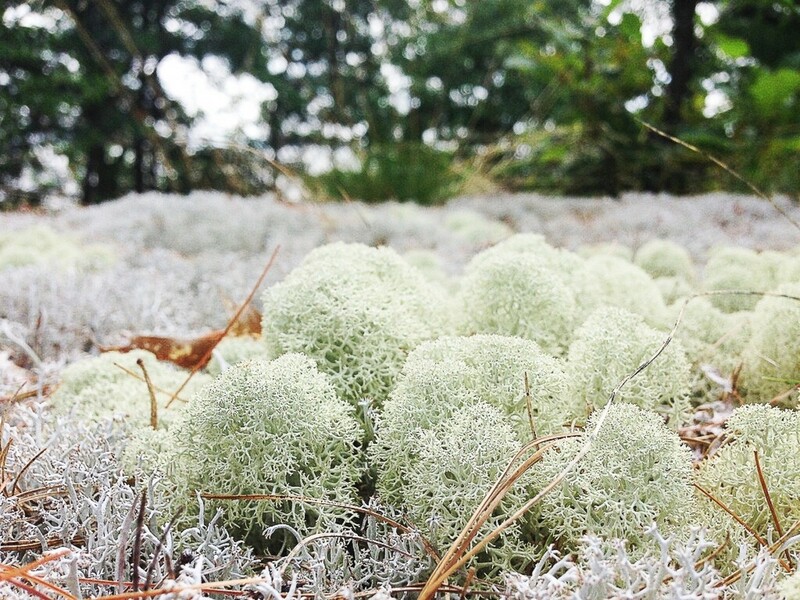 Reindeer moss, or Cladonia rangiferina, is a fruticose lichen that is a staple food of reindeer and caribou. (This is yet another "moss" that is really a lichen.) Some Arctic inhabitants mixed the partly digested lichen from caribou stomachs with raw fish eggs. The result was a concoction known as "stomach ice cream". Umbilicaria esculenta is a black foliose lichen that grows on rocks. It has been used in Asian cuisine after being fried. Umbilicaria lichens are often known as rock tripe. In North America they were used as an emergency food by early explorers after being properly prepared. Some groups boiled specific species of lichens and mixed them with berries, fish, or wild onions before eating them. With a very few exceptions, lichens were generally used as food in famine situations instead of by choice. The vast majority of lichens haven't been tested for edibility or safety or for a preparation technique that makes them safe to eat (if this technique exists). Most people shouldn't eat lichens today because of the possibility of ingesting a toxic one. Ulla Kaasalainen from the University of Helsinki has discovered that one in eight species of lichens wield microcystins, a group of poisons that cause liver damage in humans and other animals. 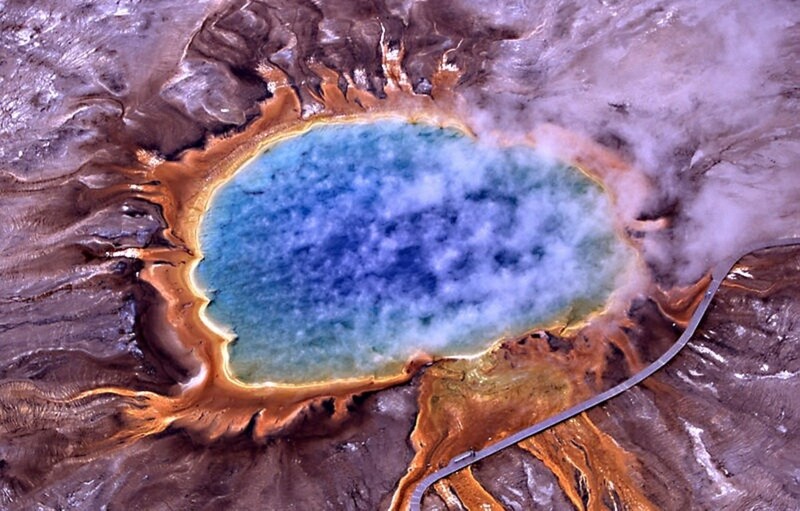 These chemicals are manufactured by blue-green bacteria known as cyanobacteria. Some lichens are very tolerant to pollutants such as nitrogen and sulphur compounds, while others are very sensitive to the presence of one or both of these chemicals. People who can identify lichens can learn about local environmental conditions by observing which species are present. The species act as bioindicators. A bioindicator is a species that indicates the health of the environment via its presence, function, or behaviour. Lichens have a high resistance to damage by dehydration and the ability to quickly absorb a large quantity of water after dehydration ends. This property has enabled them to be used as wound dressings and diapers by people in the past. The organisms stop photosynthesizing when they dry out and start producing food again as they absorb water. Lichens absorb and store radioactive substances, such as cesium and strontium compounds, without apparent harm. Their thalli can be tested for the presence of radioactive compounds in order to learn about their environment. At least some species of lichen are very resistant to dangerous radiation. In a 2005 experiment, two species spent sixteen days in space inside an orbiting satellite. Here they were exposed to "massive" doses of ultraviolet and cosmic radiation. When they returned to Earth they had nearly the same photosynthetic ability as before the flight. In addition, most of the lichens' cells had no observable damage when examined under high magnification. Just about any walk that I take ends up as a nature walk. Looking for lichens and photographing them is an enjoyable part of my journey. They are sometimes very obvious, as in the photo above. Others may be overlooked by someone who doesn't pause to look at tree bark, twigs, and rocks. The smaller parts of nature often live on these surfaces. It's fun to examine lichens and other creatures with or without a magnifying glass. It's also interesting to think about the ways in which they are used by humans and the possible ways in which they may help us in the future. The surprisingly toxic world of lichens from Discover magazine. 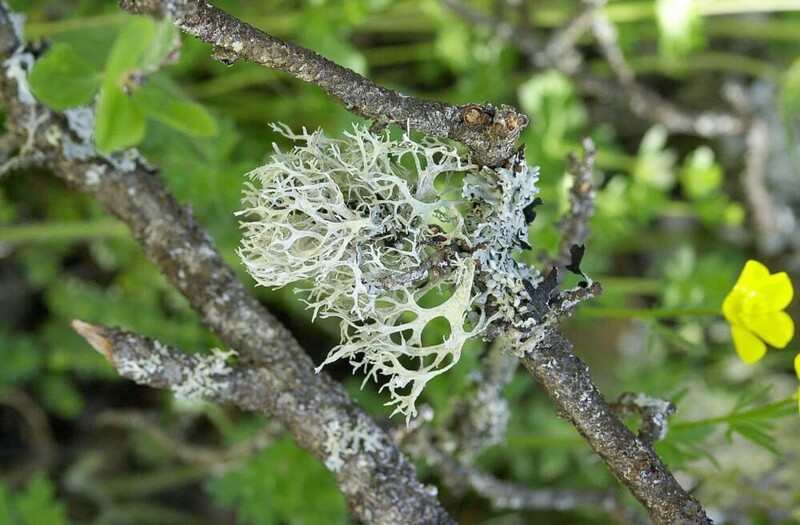 What are the harmful effects of lichens when eaten? The safety of lichens when eaten is a topic that researchers still need to explore. They need to not only identify the chemicals present in the different species of lichens but also determine whether the concentration of the chemicals is harmful to humans. They also need to discover how the chemicals affect our body. As I mentioned in answer to a previous question, lichens that contain vulpinic acid are thought to be harmful to us, though this isn’t certain. If it is true, the toxicity may depend on the quantity of the acid in a particular lichen. Some cyanobacteria produce liver toxins called microcystins when they live alone and sometimes when they are part of lichens. More research is needed to prove that the chemicals hurt us when we eat lichens, however. Since so much is unknown about lichen safety and toxicity, it’s probably not a good idea to eat them at this time. I have lived in a cool climate for 40 years, and I think the main lichens on my introduced deciduous trees are usnea and oakmoss. Every year the amount increases and now the trees are almost fully covered. Do you know why there was such a big increase over time? Lichens are attached to the outermost layer of tree bark, and don’t harm the tree. As a tree ages, its bark frequently develops more crevices, which makes the surface better for lichen attachment. 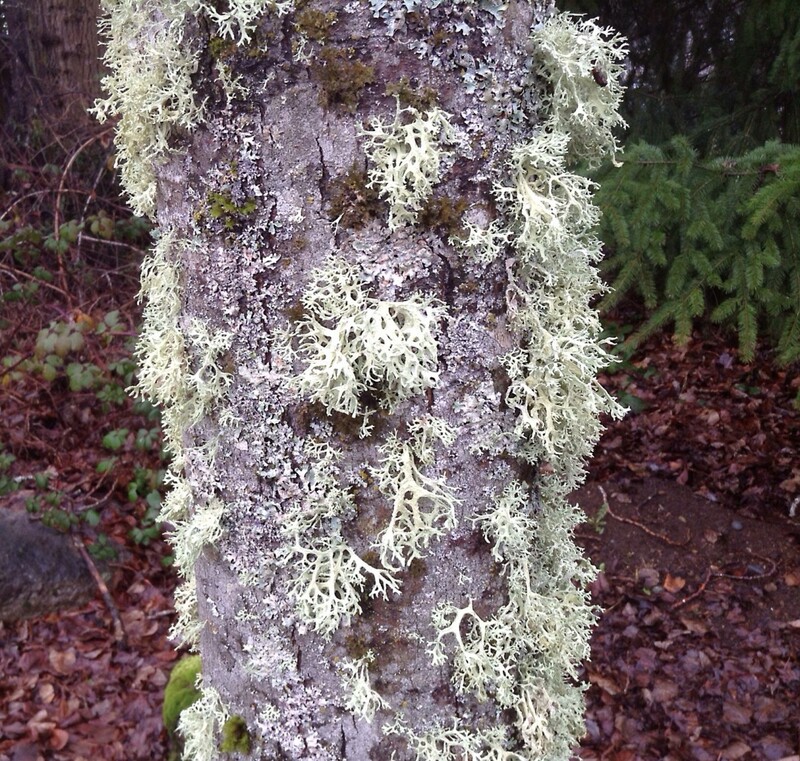 This means that more lichens can grow on the bark. Another factor that helps the bark to get covered with lichens over time is that individual lichens slowly grow and get bigger. In which kingdom are Lichens classified? Lichens are classified according to the fungus that they contain and are placed in the Fungi kingdom. The fungal component of the lichen is referred to as a “lichenized fungus”. The alga in the lichen is classified separately. Which lichens are harmful to humans when eaten? The edibility and safety of every lichen that is currently known haven’t been tested. Therefore, people should avoid eating lichens unless they are confident that the type they want to eat is edible and not poisonous and unless they can identify it correctly. It’s best to assume that all lichens are harmful when eaten unless there is no doubt that a particular kind is safe. Lichens containing significant quantities of vulpinic acid are thought to be toxic to humans. Two lichens in this category are the wolf lichen (Letharia vulpina) and the tortured horsehair lichen (Bryoria tortuosa). There may be many more lichens in the poisonous category. On the other hand, only a few lichens may be harmful when eaten. Researchers don’t yet know which of these scenarios is true. Is it safe to bring a Christmas tree with lichens indoors? Yes, it should be, as long as the lichens aren't eaten. The only point that might be a concern is if you have a pet that is likely to climb the tree and nibble it or a young child that might reach into the tree and pull the lichens off to eat. If this is the case, you would have to be concerned about the safety of the tree itself as well as the lichens on it. Can lichens be used for performance growth of chickens and ducks? No, not as far as I know. In addition, I think anyone considering giving lichens to birds needs to be concerned about toxicity. As is the case for humans, some lichens may be dangerous for birds and other animals. 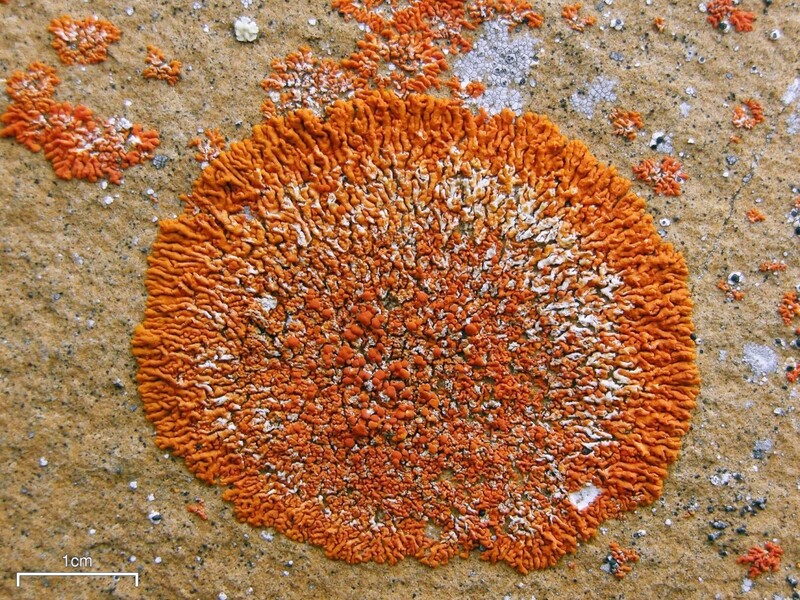 While it's true that some animals on the tundra eat lichens, they eat specific species and tend to do this when other food types are unavailable. Is it safe to burn branches with lichen? Yes. I've never heard of any dangers related to burning branches with lichen growing on them. The only precautions needed are ones that are always important when using branches to create a fire, whether or not they are covered by lichens. Is it safe to take an all-natural organic multivitamin from food sources wherein the vitamin D is derived from lichen? I don’t know whether it’s safe since I don’t know how your chosen product is made or the identity of all the chemicals in it and their concentrations. One thing that concerns me is I see supplement companies advertising the fact that their product contains vitamin D from lichens, but I haven’t seen any details about how the vitamin in the product is produced. I’ve discovered only one scientific report describing vitamin D presence in lichens. Research published in 2000 reported that some scientists had detected the vitamin in two related species of lichen. I suggest that you contact a medicinal drug or health regulatory agency in your country to either check their records for your product or to contact them with your question about safety. If you live in the United States, the FDA site may be useful. The agency gives an email address on their “Drug Safety” page. What enables lichens to tolerate heavy metal ions? Lichens differ in their ability to accumulate and tolerate heavy metals. Some experience changes in their biochemistry and physiology after absorbing heavy metals and are harmed or killed. Others seem to be more tolerant of the metals. Susceptibility to harm seems to depend on the type of lichen, the environment in which it’s growing, and the metal that’s involved. Other important factors likely include whether the fungus or the alga absorbs or stores the metals, the chemical form and location in which a specific metal is stored, and whether or not the lichen releases the metals from its thallus in some form. Hi, Monika. I have no experience in using lichens in the way that you describe. I do have lichens on dead branches in my garden. They dry out when the weather is warm and then rehydrate when the atmosphere is moist. I think they might dry out too much and become brittle if they were stored indoors. I've read that some artists treat lichens with glycerin before using them in a project. This is something that you might want to investigate. I was thinking of combining lichens (from a dead branch) with fabric and yarn to create collages and frame them in shadow boxes. Is this something that's OK to do? Or will the lichens decompose inside the frame? thanks! Hi. Lichens do contain iodine, but I don't know the typical concentration that's present. I have no idea whether a particular extract or supplement made from lichen has iodine in it or whether the iodine is at a significant level if it is present. You would have to send a sample to a reputable laboratory and get it analyzed for its chemical content. The test should include an analysis for both iodine and vitamin D.
I really need to know if lichen contains iodine. We have a source of vitamin D3 that derives from lichen, and need to know. Thanks! Hi, Soheil. Wolf lichen is attractive, so I can understand why you would want to display it. I would suggest that you put it out of reach if children or pets enter the home as guests, though. Other than that, I would leave it on display (as long as it survives). Some people extract dye from the lichen, so it doesn't seem to be dangerous to touch. It's always a good idea to wash the hands after handling items from nature, though, especially before eating. Thanks for the article. It is very helpful. I have a question for you though, recently, while hiking, I found a beautiful Wolf Lichen growth on a dead branch. It was so beautiful that I took the branch home and put it as decoration in my living room. Knowing that it is poisonous, I got a little stress now. Do you think it is better to remove it? Is it harmful touching it or having it at home? We don't have pets or children, so no one would chew it. I'm glad the article was helpful for you. Just what I needed for my trail talk about usable plants! Thanks! Hi, Vivian. Lichens grow on many tree trunks where I live, too. They're interesting to see. Hi, Ernie. A survey of your local lichens sounds interesting. A book about the lichens that grow in your part of the world could be useful for you. One with colour photos and descriptions of the different types would be especially helpful. There may be identification guides for the lichens in your area on the Internet as well. This is probably the best place to check first of all. Lichens are fascinating. Such a big help in the environment. I am mentoring 2 groups of high school students who are also interested with Lichens. we just want to survey our area here and find out the presence of lichens and their quantity. Can you help us Identify and Classify Lichens? Thank you very much, Vikas. Louise, I'm sorry that you're having so many problems and that you've had them for such a long time, but my article has nothing to do with lichen planus. Lichens are organisms that live in the environment, not on or in the human body. I can understand why you're confused because the names are so similar, but lichen planus is thought to be an autoimmune disease, not an infection. I'm not a doctor and can't offer you any advice about your condition. From what I've read, though, dermatologists often deal with the disorder. Perhaps your doctor can recommend one, or maybe a different doctor can help you. I hope you find someone that can improve your condition. I have been diagnosed with lichens paleous. It lives directly under my skin and some go deeep into my body. They look like a spreading out of little "road maps" and NOTHING I HAVE TRIED WILL KILL THESE, NOR THE ONES THAT GO DEEEP. After the biopsy,. That I thought went extremely deep, the lichen began and is still coming to the surface, it now itches. None of them have ever itched, much, unless I tried to remove them, with the MANY VARIOUS CREAMS THAT MY Dr. Prescribed, the last being​, forgive my spelling, Perythrian, topical cream. It seems to have done the MOST to rid myself of them. There seems to be a 'pattern' to some of them, such as VERY near perfect circle of dots about this size : O, maybe bigger, some smaller, but they all have a bit bigger one in the center. When IT (the center one) itches and dies, the other ones sink into my skin and it seems as my body does away with it. They DO LEAVE A very slight indentation ,however that reminds me that it was there.?!? So very very odd!! I think you'll find lichens interesting to study. I do! Thank you. I'm glad that the article was helpful. Hi, Venetia. Thank you very much for the comment. I'm afraid that I don't know of any source of prepared lichen powders or dyes. People who want to use the dye make it themselves, as far as I know. Good luck with your use of lichens in art. This is fascinating and very inspiring! I am an artist from England, working with mainly organic materials and have recently been using algae powders in paintings. Would love to access some lichen powder or dyes and wonder if you could recommend a good source. Or it would be wonderful some day to make my own powder . As far as I know, the answer to your question is no. You should contact a lichenologist for confirmation, however. That being said, I always wash my hands after time spent handling soil, decaying bark or similar substrates because they may contain harmful microbes. In addition, I wear a mask if I handle anything that's releasing particulate matter into the air because the particles may be harmful to the lungs. Is there danger in handling certain lichen, either transferring onto fingers or breathing in harmful components of disturbed lichen? Hi, edgardo. Lichens seem to be generally harmless or helpful to humans, but there are some potentially harmful aspects to them. In addition to the problems I've mentioned above, researchers have found that some lichens produce chemicals called microcystins that can damage the liver. hi ma'am.... can i ask question? what is other harmful effects of lichen? Thank you very much, Earl. Thank you, Heidi. I appreciate your comment and congratulations very much. I hope you have a great weekend, too! I think the most interesting is the natural sunscreen aspect. Another informative hub deserving of the Hub of the Day it just received. Congrats and have a great weekend! Thank you very much for the congrats, Kristen! I'd miss seeing lichens if they disappeared from my neighbourhood. I enjoy observing and studying them. Linda, congrats on another HOTD! This is so fascinating and amusing to know about the facts on lichens. I remember when I lived in NJ, there was lichen on one of the trees. I remember it was a greyish color like in the photo. I haven't seen any here since I lived in Ohio for 16 years now. Kudos! Interesting, yes--lesson in not switching thoughts in the middle of a sentence. :) Always enjoy your work. Thank you for the interesting comment and the congrats, RTalloni. I think it's important that we don't dismiss lichens, too. They are an important part of nature. Thanks for the comment, Oztinato! I appreciate your visit. How amazing that lowly lichens have so many uses to make us like 'em! ;) Seriously, though, as technology allows us to unfold the intricacies of nature's details we continue to learn that we have much to learn about what creation has to say to us. This hub has reminded me that the earth was designed to rejuvenate itself (but that does not mean we are not to be good stewards!). Coming across these in the wild would make the average person dismiss them but that is a lesson that falls in the importance of not doing so. Thanks for a neat read and congrats on your Hub of the Day award. I'm really liken your hub on lichen. Very interesting and informative. Hi, Student101. There are references in the blue boxes in this article, although I may change the colour and position of the boxes when I do my next edit of the article. The general information about lichens comes from my education and knowledge as a biology teacher. Good luck with your research. Thank you very much, ammara. I'm glad the article helped you. That's interesting, khan. I haven't heard of that use before. Thank you for the comment, Elsie. I'm sorry about the problem that you're having with lichens. I'll read your hub very soon. Thanks for such a lovely new year's wish. I hope 2015 is a wonderful year for you, too! Very interesting. 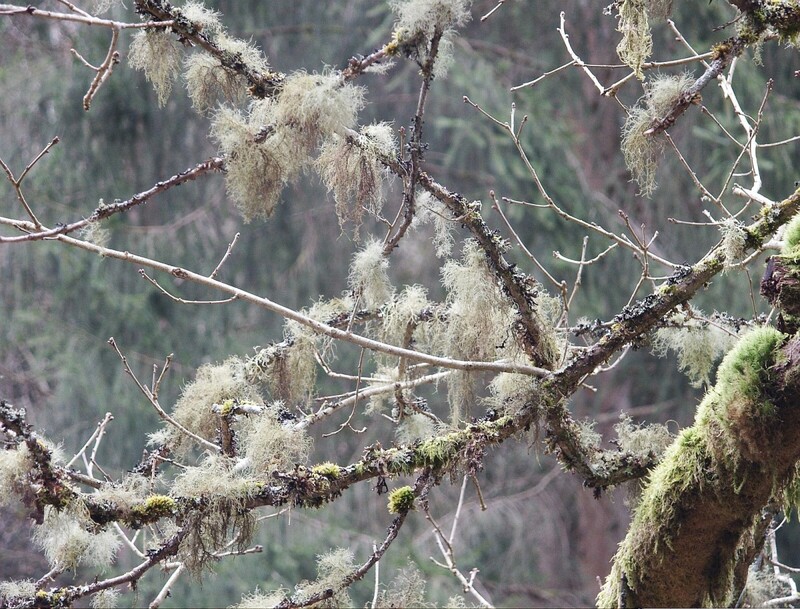 I have just written an article about Usnea Lichen which is killing the trees in my garden. So I'm not happy with it camping in my garden, it is a eyesore and makes my garden very untidy with dying tree. Happy New Year to you, hope 2015 is a perfect year for you. Thanks for the comment, WriterJanis. I think that many lichens look pretty. They are interesting organisms, too. You have so much great info here. Some of your photos make lichens look pretty. Thank you very much for the kind comment and the votes, DDE! Brilliantly put together and now I know so much more about this topic. I have seen Lichens and just did not bother much about it until I read this hub. Voted up, useful, and a very helpful hub indeed. Hi, Deb. Yes, lichens are amazing! They are very common in British Columbia, too. I enjoy observing them. Lichens are utterly amazing. I never realized that they had so many god and very important uses. When I walked in the woods back home in Maine, they were everywhere. Thank you very much, Sue. I think that lichens are fascinating, too! I appreciate your visit. Fascinating subject. Who would have thought lichens were so interesting. Great hub! Thank you, Dianna. It is very interesting that lichens can be used in so many ways. They are useful organisms. Fascinating article on lichens! It is amazing how they are used in products. Hi, ologsinquito. I agree - lichens probably have medicinal benefits that we are unaware of. It's important that we don't destroy them! Thank you very much for the comment, the vote and the pin. Thank you very much for the comment and for sharing your experience, Audrey! Great article. They probably do have some good medicinal uses, probably ones we don't even know about. Voted up and pinned. Lichens make a wonderful dye for silks and wools--Loved your article! Thank you very much, Cynthia. I always appreciate your visits and kind comments! Thank you for such a lovely comment, Bill! I appreciate it very much. Thanks for the vote and the share, too. Happy New Year! Thank you for the visit, JSMatthew. I appreciate your comment and vote, as well as the share! This is very interesting. 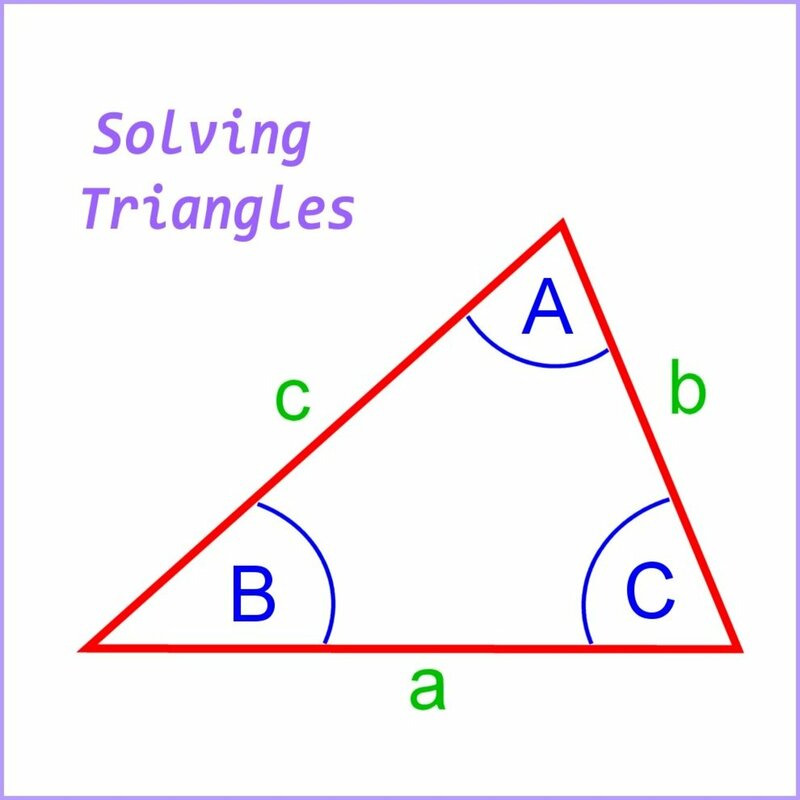 I never thought something so simple could be so complicated! Well done. Up and shared. Yes, the scent does sound exotic! I'd like to try it, too. Thanks for the comment, EGamboa. Thanks for the visit and the comment, Eddy. I hope you have a great day, too! I just want to find a perfume with Oakmoss. Sounds exotic. Great article! Another very interesting and useful hub by you again Alicia. Thank you, Jodah! I appreciate the comment and the vote very much. It is interesting that lichens have so many present and potential uses. 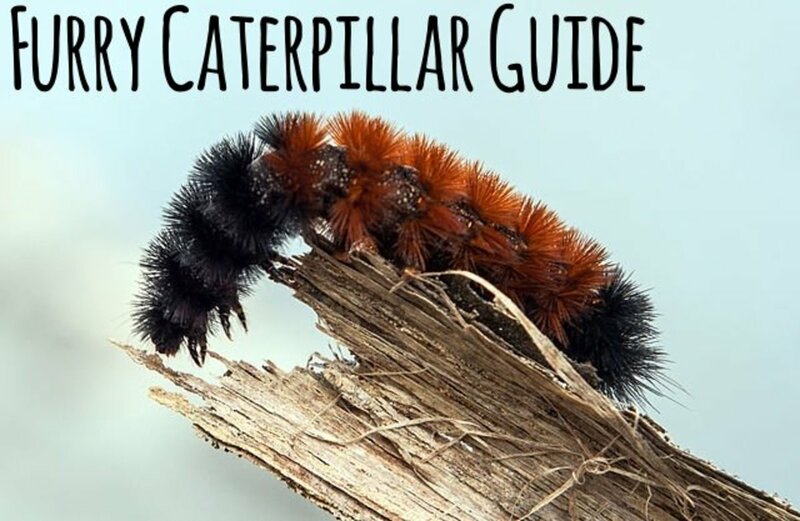 Alicia, this is a very comprehensive guide to lichens. I knew very little about them before, except they were related to fungi, so you taught me a lot. Never realised they had so many uses. Voted up. Thank you so much for the comment, the link and the votes, Peggy! Happy New Year to you, too, and best wishes for an excellent 2014! Fantastic article Alicia! I added a link from this hub to mine titled Pictures of Mushrooms and Fungus - Wild Ones! UUI votes. Happy New Year! Thank for very much, Faith. I appreciate your votes and share, as always. Happy New Year! Thank you very much for the kind comment, MJ! I hope that 2014 is a great year for you. Fascinating hub as always! I am glad you included how to pronounce these organisms. I have seen these on tree banks, but had no clue as to what they were, but now I do and will keep my eyes open to spot them. That photo of yours is awesome too. Wow. I savored every word of this fascinating article. I had no idea lichens were used in making litmus paper ... Nor that they had so many other practical uses and potentials. It's amazing how very complex such seemingly simple organisms can be. Love this sort of information! Thank you very much for the lovely comment, Bill. I always appreciate your visits and support! Always informative....always useful....always valuable. Thank you for the continuing education my friend.